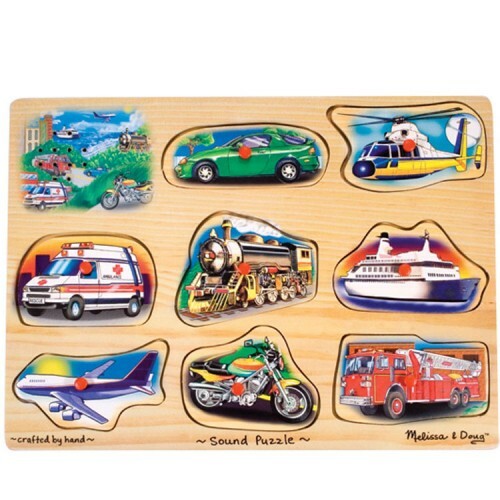 Realistic vehicle sounds are played when each of 8 wooden puzzle pieces are properly placed on the board of this Melissa & Doug's wooden transportation puzzle. 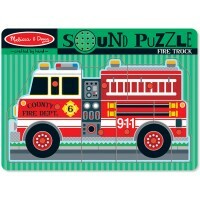 Vehicle Sound Puzzle - sounds like a great idea! 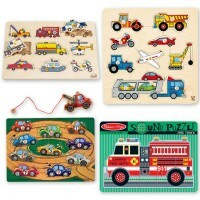 Now it's time for your toddler or preschooler find the right parking spot on the wooden puzzle board for each of these vehicles puzzle pieces. 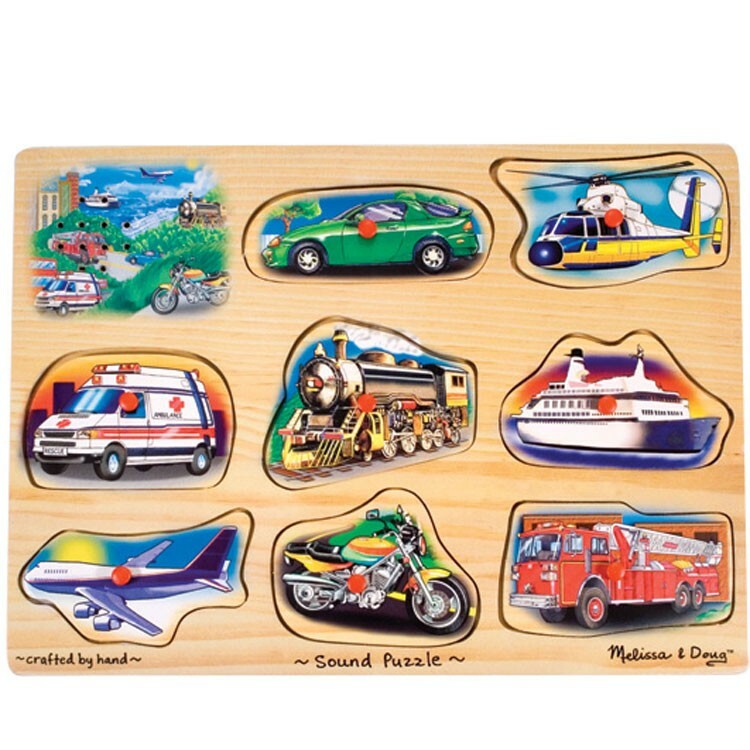 Realistic car, train, boat, helicopter, motorbike, plane, fire truck, or ambulance sounds are played when each of 8 wooden puzzle pieces are properly placed on the board of this Melissa & Doug's wooden transportation puzzle. 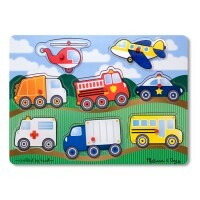 Vehicles Sound Puzzle from Educational Toys Planet is a fun and unique way to reinforce cause & effect, early vocabulary and matching skills. 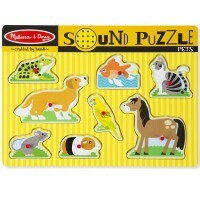 This learning sound puzzle meets and exceeds the US toy safety regulations. 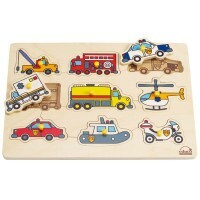 Now it's time for your toddler or preschooler find the right parking spot on the wooden puzzle board for each of these vehicles puzzle pieces. 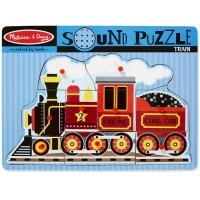 Write your own review of Vehicle Sound Puzzle. 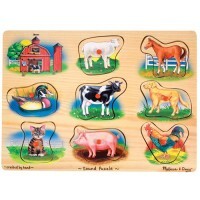 Rating: 5 by Zelda, CA Very nice and affordable puzzle. 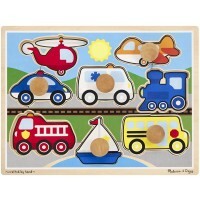 Rating: 4 by Vickie E, NC My 2 year old nephew loved it. 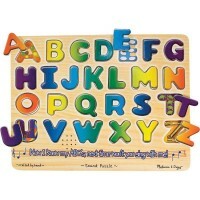 It was just about the only toy he received for his birthday that didn't have an on/off button and flashing lights. It's something that he has to think about. Rating: 4 by laurie, MO Again--I use this for sound detection of environmental noises and it would be a better tool in therapy if the volume could be increased.